What is Rooting of an Android Phone? Root is basically a su binary installed in your Android smartphone, through which you can access all the files which holds all the hardware information. Jailbreaking which you must have heard of is equal to the Android Rooting, it unlocks the operation system so that unapproved apps can be installed, undesired bloatware can be deleted, you can customize your android phone the way you want to and so on. You just need to download the software. In case you do not want to take risk of losing your data while rooting, you must back up your Android. You can choose your backup tools according to your the brand of your Android Phone. Like Samsung,Sony,HTC,Motorola etc. After you installed Android Root on Your Android, You will have to connect your Android to PC. Just when your Android phone gets sensed by PC. It will start checking your phone for rooting process. If the Android smart phone has been rooted before then you will be allowed for the next step, but in case its not then it will start checking, the phone model is supportable or not for the rooting process. When all the above steps are detected, you will see a button of Root Now, tap on that button to Root your Android Phone. The process of Rooting might take some time, but wait for it to get it completed. After it gets completed it will show a message saying the rooting process is finished. Now When you have successfully Root Android Phone, you can mute your android apps, move applications to SD cards, erase bloatware. Firstly, download Root app from the below link in your Android Phone. And, great you are done with the rooting of your android phone with the app. Checking Android smart phone is rooted or not? You are still not sure, you have rooted your android phone or not? In this section we will tell you, how you can check your phone is rooted or not! 1.From Play Store, download the application named Root Checker. 2.Open the Root Checker after installation and then tap on Verify Root. 3.You will see the message of “Congratulations” if your Android smart phone is successfully rooted, if not then it will display the message of rooting your phone. 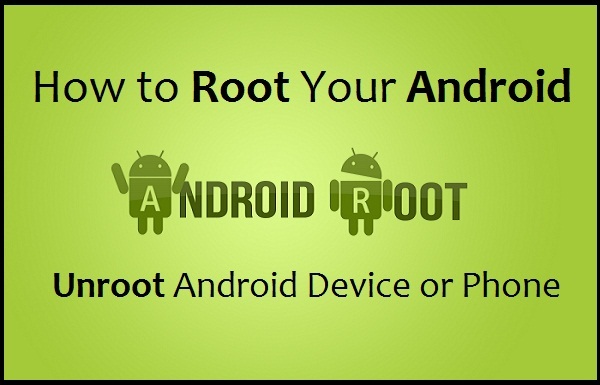 Why Unroot your Android Smartphone? Just like the famous saying “everything that has pro equally has cons” as rooting of android phone gives you too many privileges. It also lets third party apps to misuse your passwords etc. So, here comes the need of Unrooting your Android Phone. Scroll down and find the “Full unroot” option. Click on it. A message will display asking your permission that, you want to unroot your device or not. If you are sure that you want to unroot your device then click on continue. Once you are done, SuperSu will automatically close. Now Restart You Unrooted Android device. You will fine that you Andoride device is Booting, after it gets completed. Uninstall the application Super Su and you are good to access your Unrooted Android device. Search for the file name “su” and delete it. (for deleting, you can long press and hold the file and then select the delete option from the list. You still not sure your android device has got unrooted or not. Not to worry, here is the easy way through which you can check your device is still rooted or unrooted. 1.Open Play Store, download and install the application Root Checker. 2.Now launch the application and verify that your android phone is rooted or unrooted. 3.You will see the message of “Congratulations” if your Android smart phone is rooted, if not then it will display the message of “Unrooted” on your android Smart Phone. So above where the process through which you can Root Android phone with PC or without PC. And with that, if you are unhappy with the root process, you can unroot the phone with the help of Unrooting method. In both the ways, you must once back up your Android phone for your comfort and you could save your phone from any damage .The available applications help you to check your phone is rooted or not. Hope the article helps you in doing any of the process. Do it carefully. !